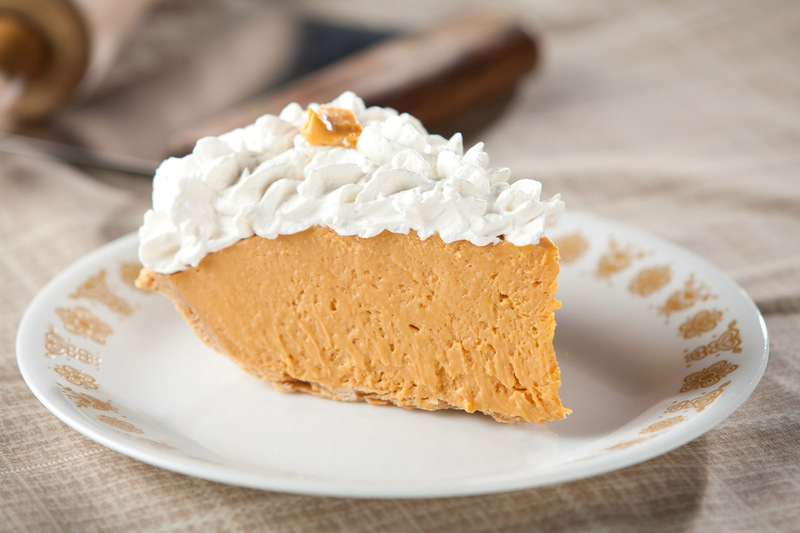 A variety of 10″ pies are available daily at the shop. 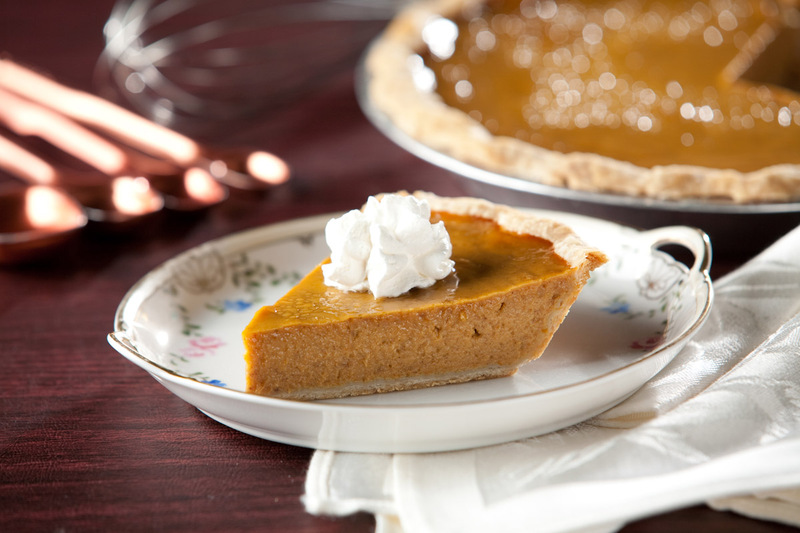 10″ pies will yield 8 servings each. 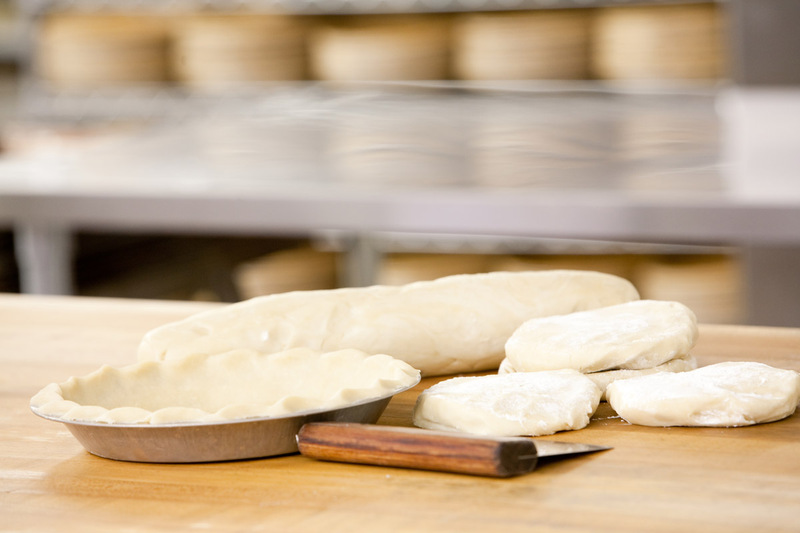 Fluted unbaked shell in our pie pan. 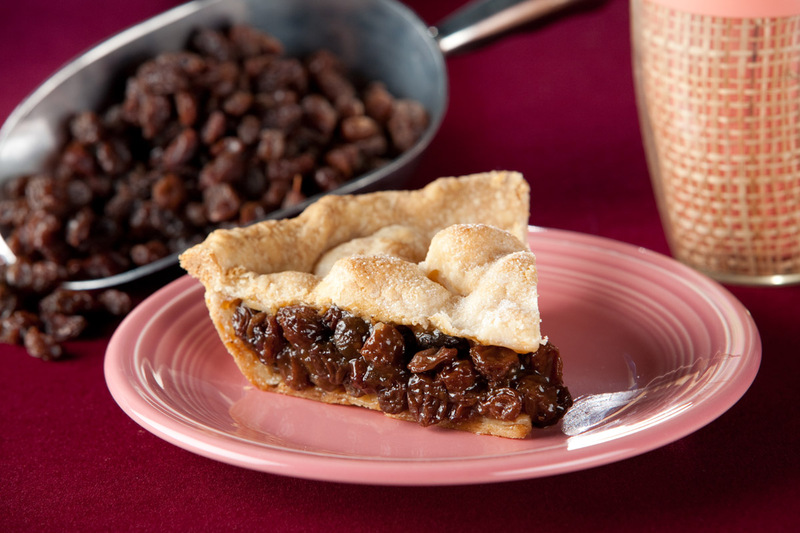 A double crust pie with a raisin filling with spices, not to be confused with a Raisin Cream. 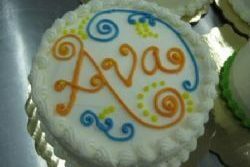 Perfect for baby’s first birthday! 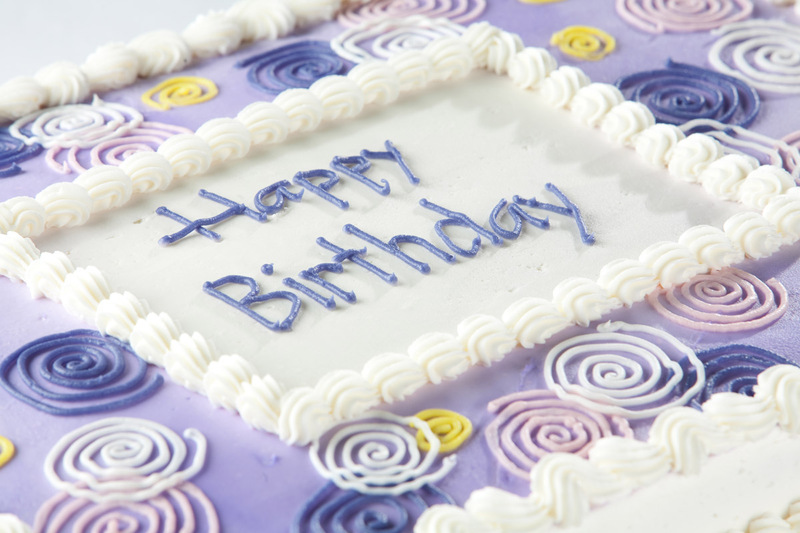 We make these in white or chocolate and can be decorated…we will need 2 days notice. 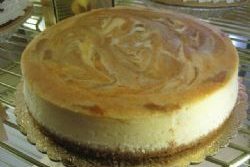 This cheesecake has a crushed wafer and almond crust, very rich and creamy. 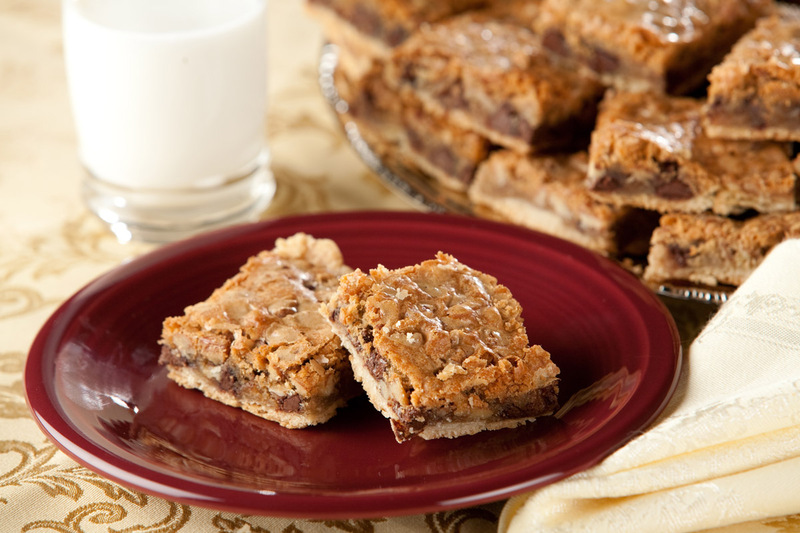 Topped with candied almonds. 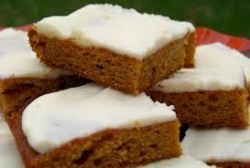 Serves 16 – Limited Availability! 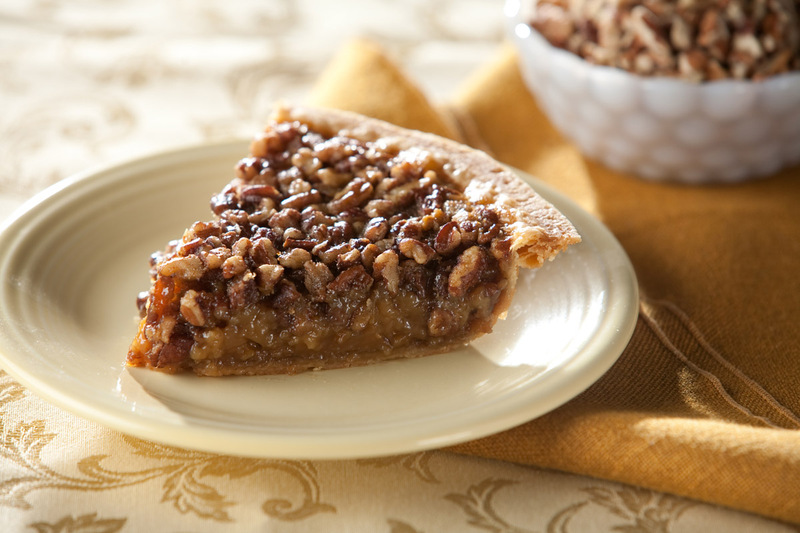 Available by the slice in store for $2.95. 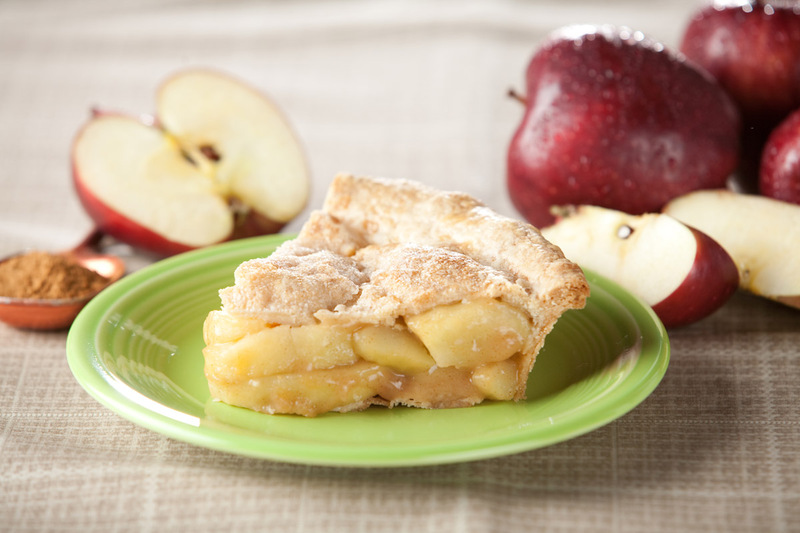 A great American standard, made with Granny Smith apples and a touch of cinnamon and nutmeg. 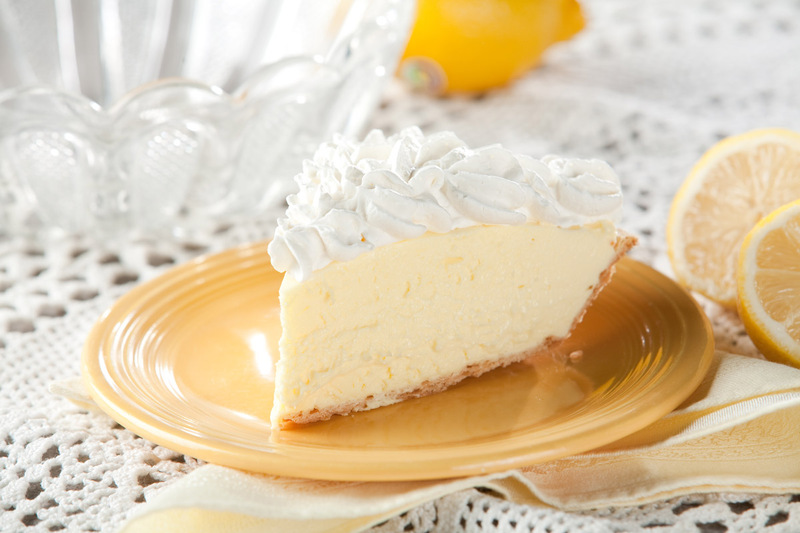 Stop by and grab a slice of Kathy’s famous cheesecake for only $2.95. 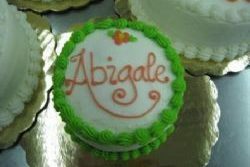 Varieties include plain, lemon, turtle pecan, white chocolate raspberry, amaretto and pumpkin. Limited availably. 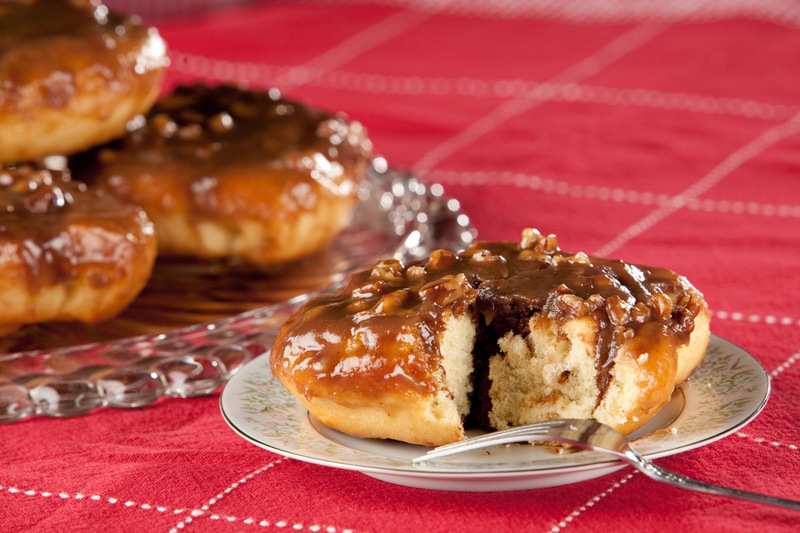 Cinnamon rolls with homemade caramel sauce and pecans. 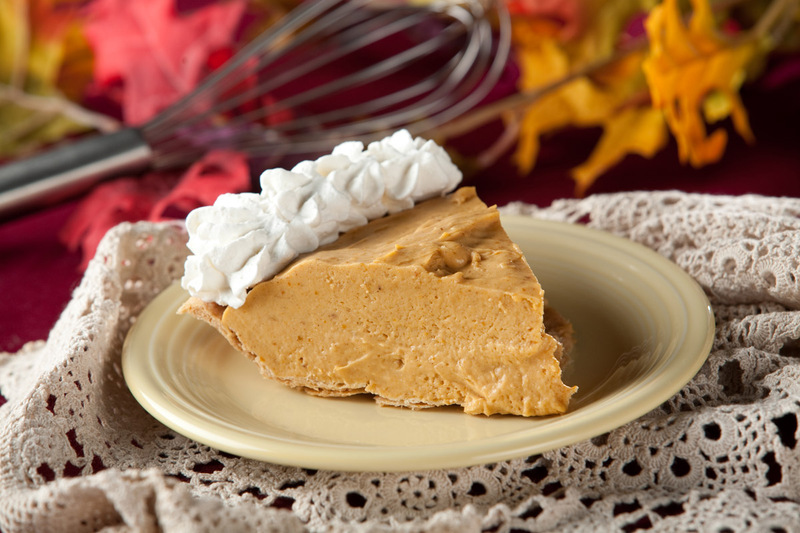 Made from scratch with sweet potatoes, apples, and of course, carrots! 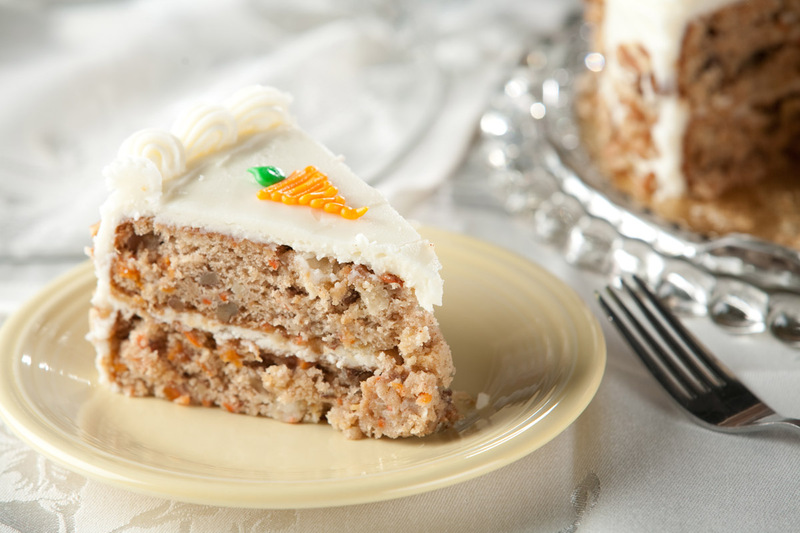 These cakes are frosted with homemade cream cheese frosting and accented with cute little frosting carrots. 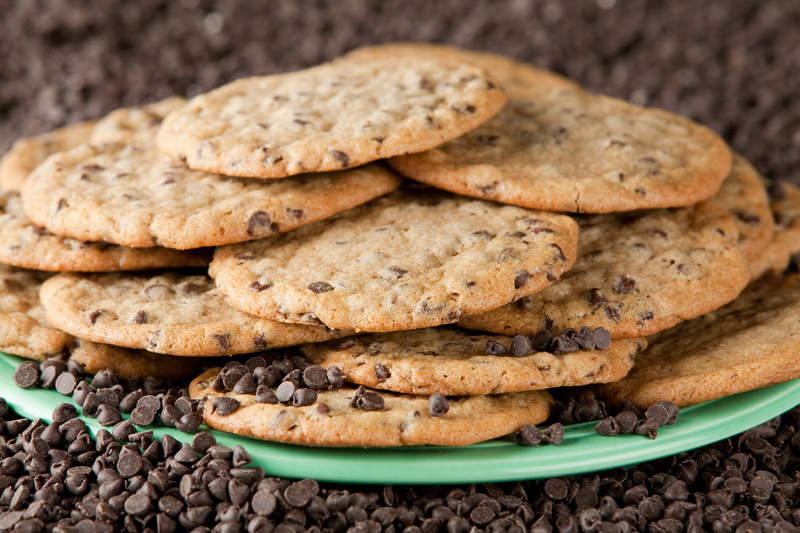 6 inch round ($17.95), 9 inch round ($28.00), Half sheet ($60.50) and quarter sheet ($39.95). 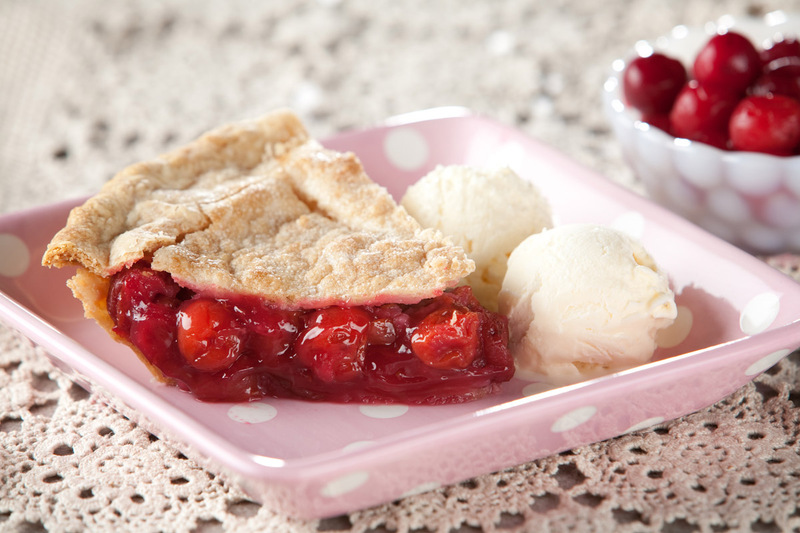 Sweet, tart red cherries make this classic a favorite. 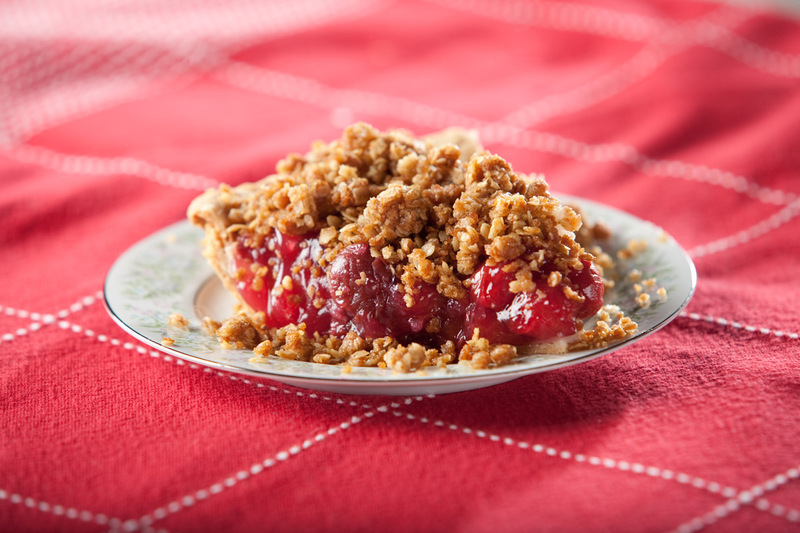 A single-crust pie with cherry pie filling and a crumb topping of oatmeal, cinnamon, margarine and brown sugar. 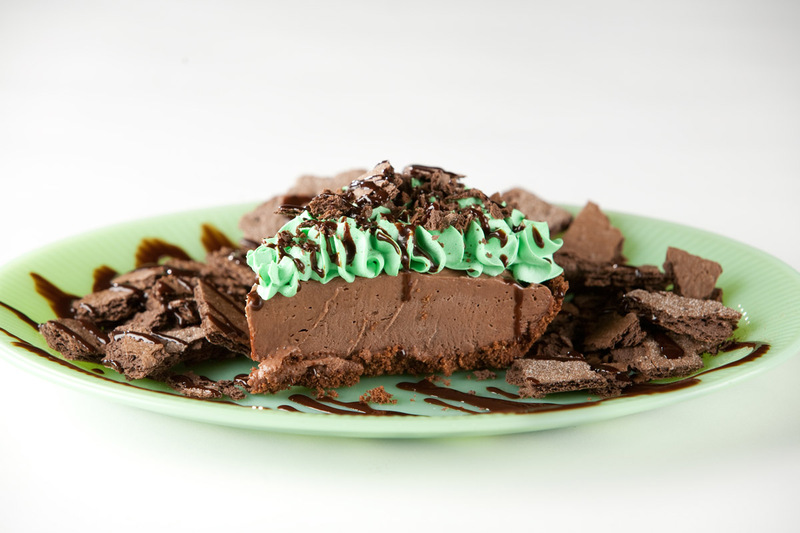 This cheesecake is for serious chocolate lovers only! 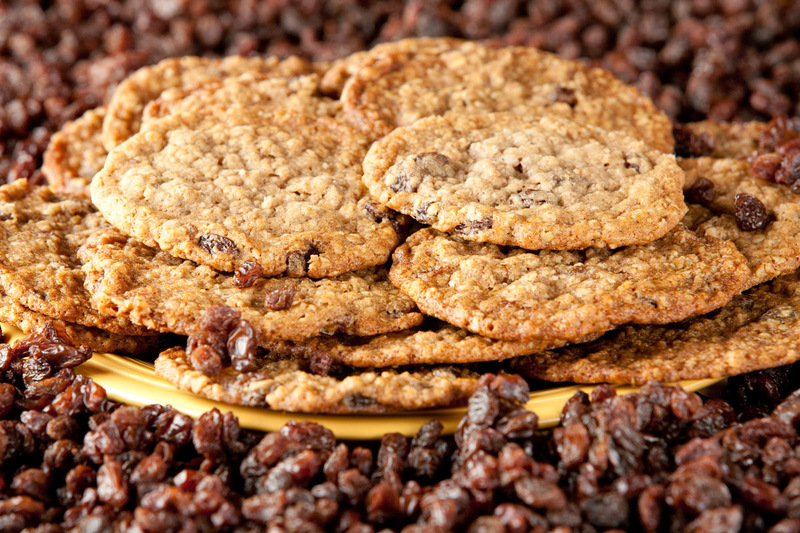 Best served with a red wine or cup of coffee. 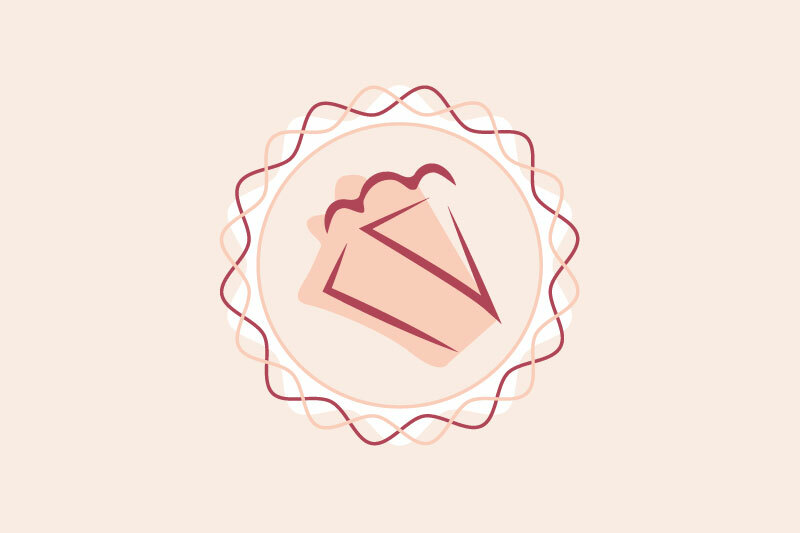 Slices available in store for $2.95. 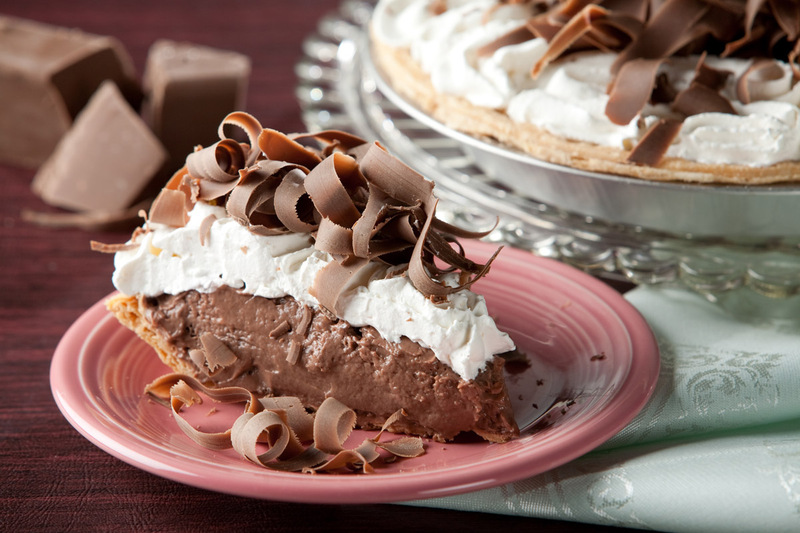 (Our #1 seller) Regular pie crust, chocolate pudding filling, whipped topping and chocolate shavings, make this a real crowd pleaser of any age group. 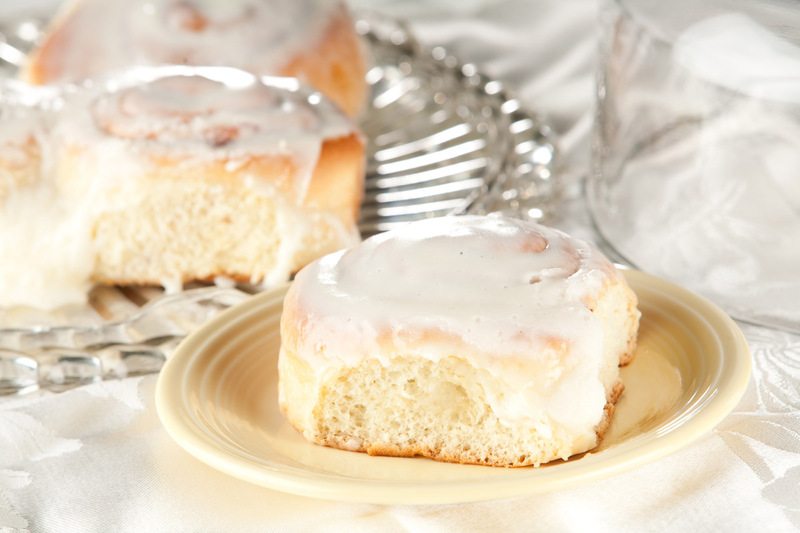 Cinnamon rolls with our made-from-scratch cream cheese frosting. 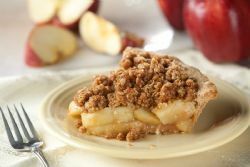 A single-crust pie with apple pie filling and a crunchy crumb topping of oatmeal, cinnamon, margarine and brown sugar. 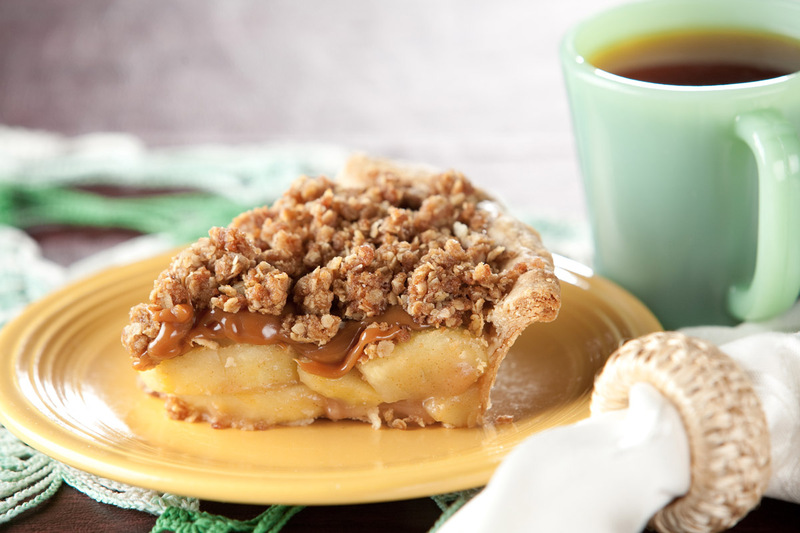 Dutch Apple Pie with an added layer of caramel sauce between pie filling and crumb topping. 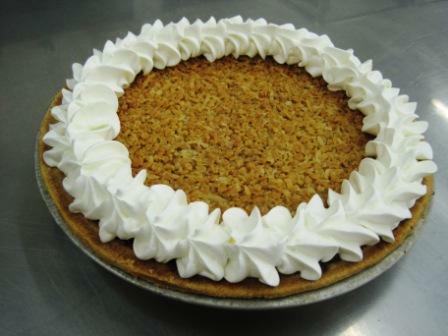 French coconut is only available in the month of April! 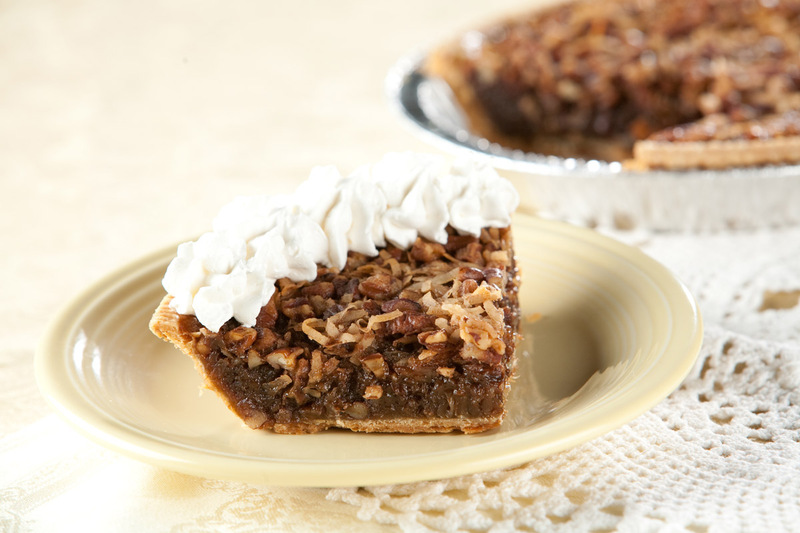 We combine flaked coconut and oatmeal in a rich base, we pour it all in to a single crust pie and bake it to a golden perfection. 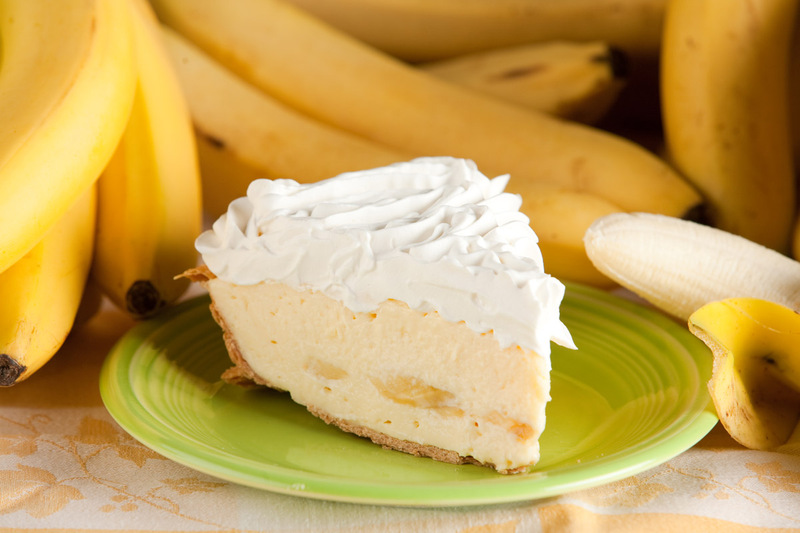 Garnished with whipped topping. 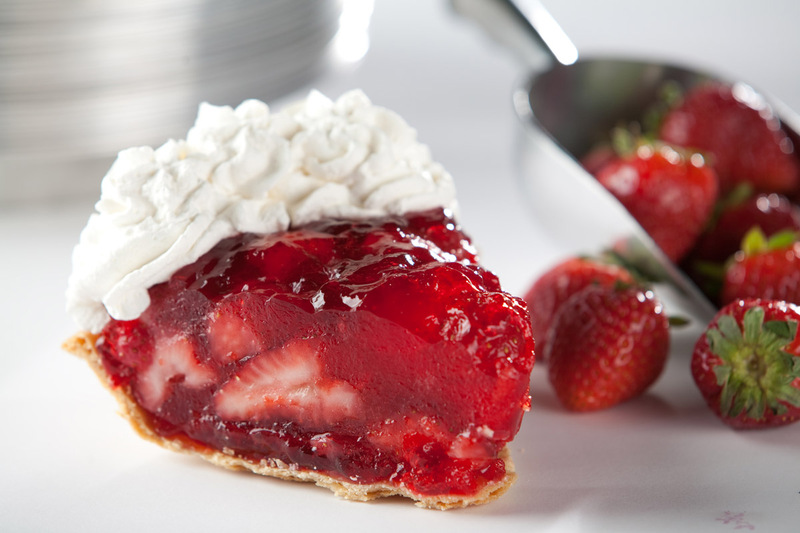 (Seasonal May and June only) Strawberries in a jell like glaze with a regular pie crust, generously topped with whipped topping. 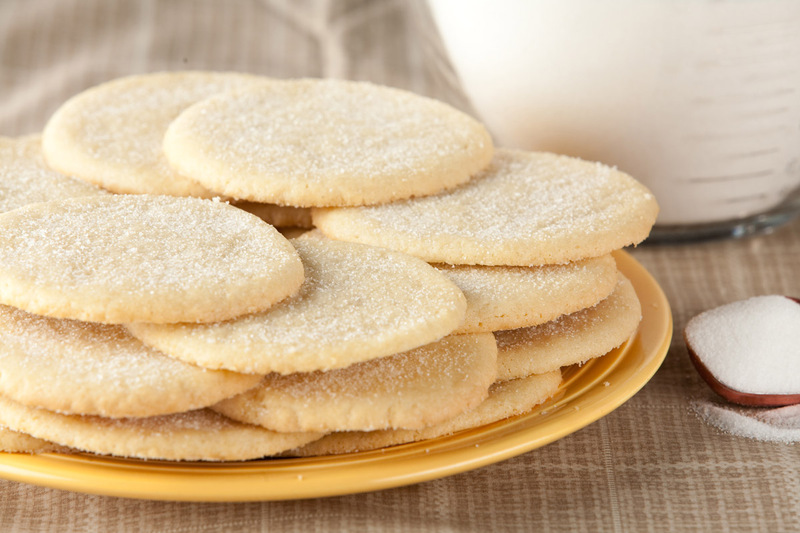 Our grandmother Minnie’s recipe. 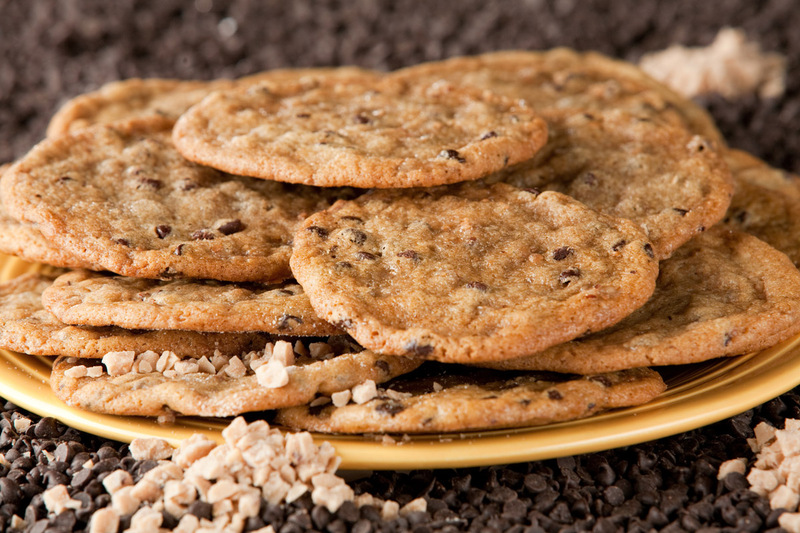 They will melt in your mouth. 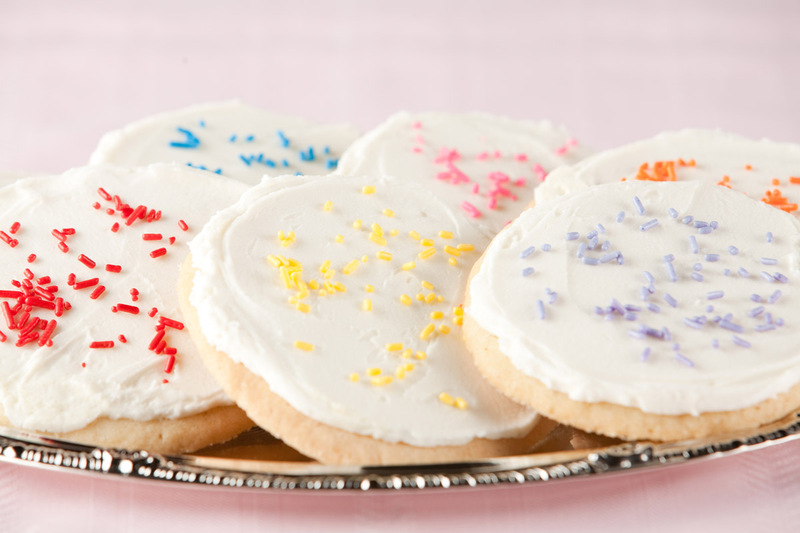 Frosted with our homemade buttercream frosting. Sooooo good! 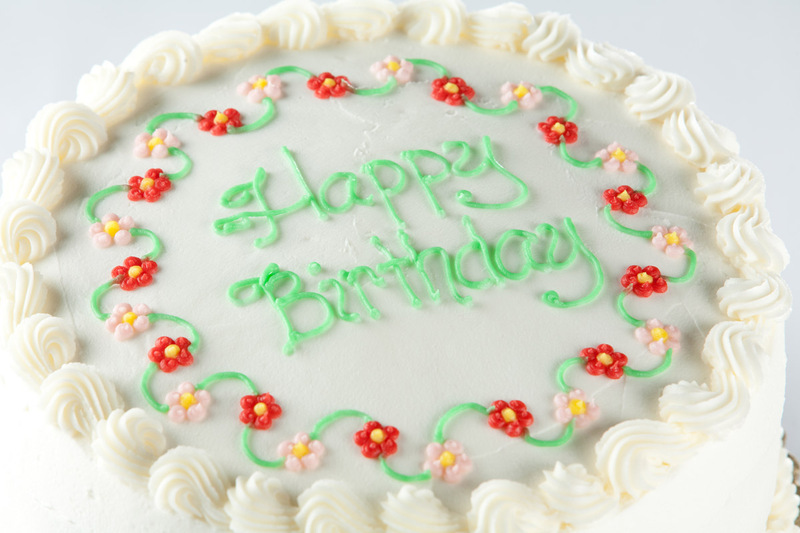 You can now buy a three pound pail of our famous buttercream frosting. 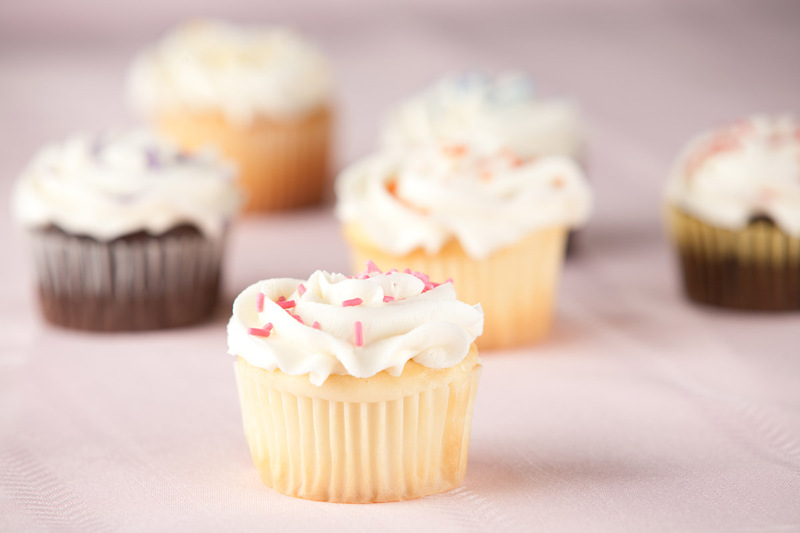 Thaw and decorate your own cupcakes or birthday cakes. 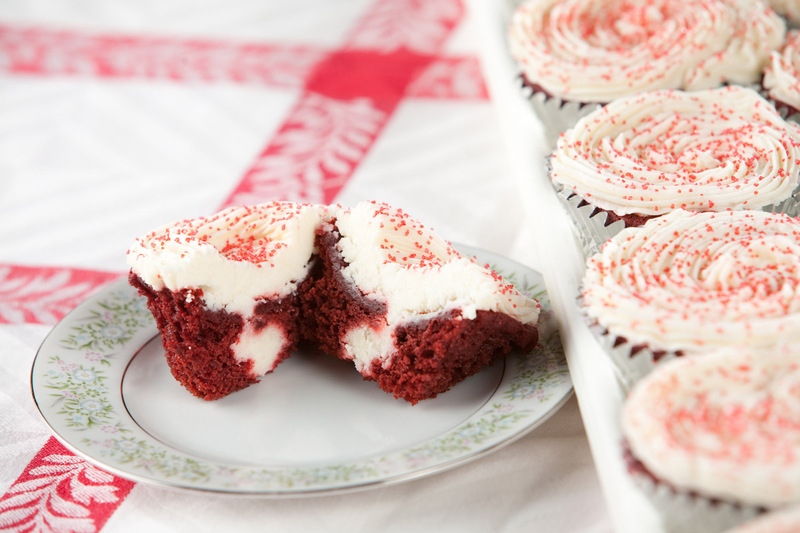 You can even add your own colors to make any holiday decorating easier and more enjoyable! Winter-themed or Christmas, we have you covered. 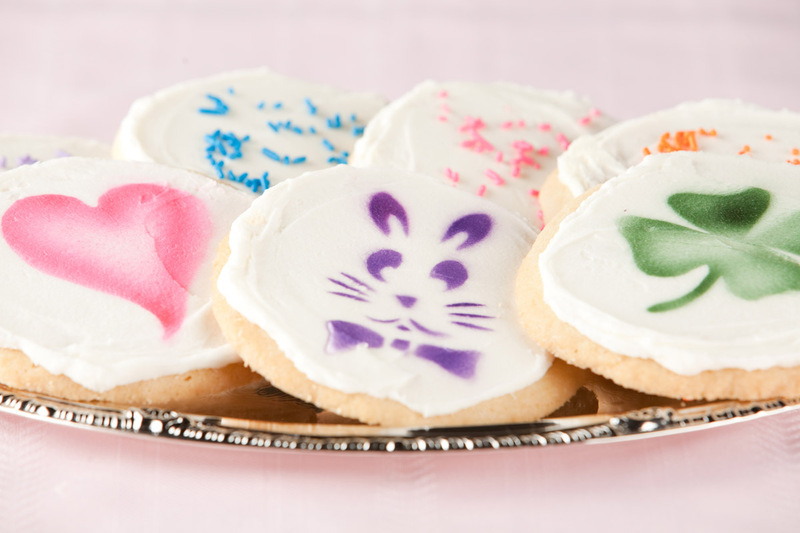 Our cookies with edible images are $1.50 each or $15.95 a dozen. 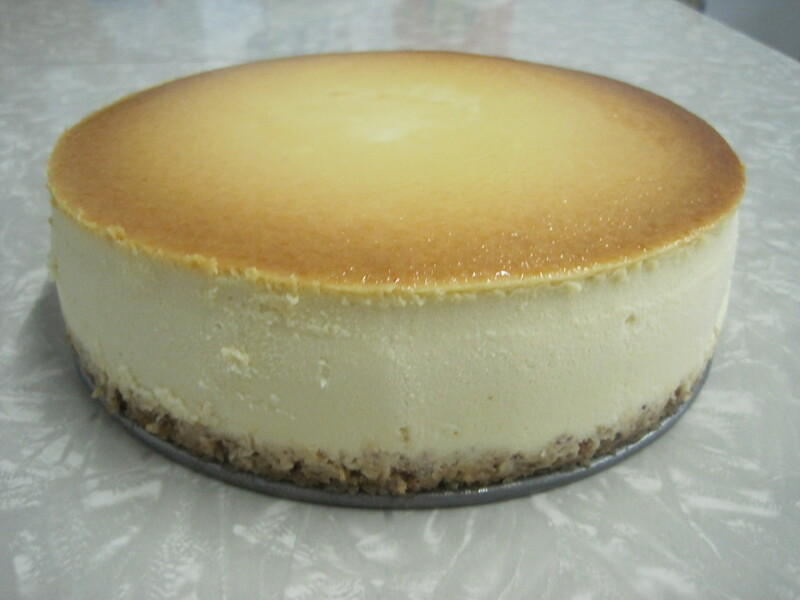 Rich classic homemade cheese cake, made with cream cheese, sour cream and top shelf vanilla. 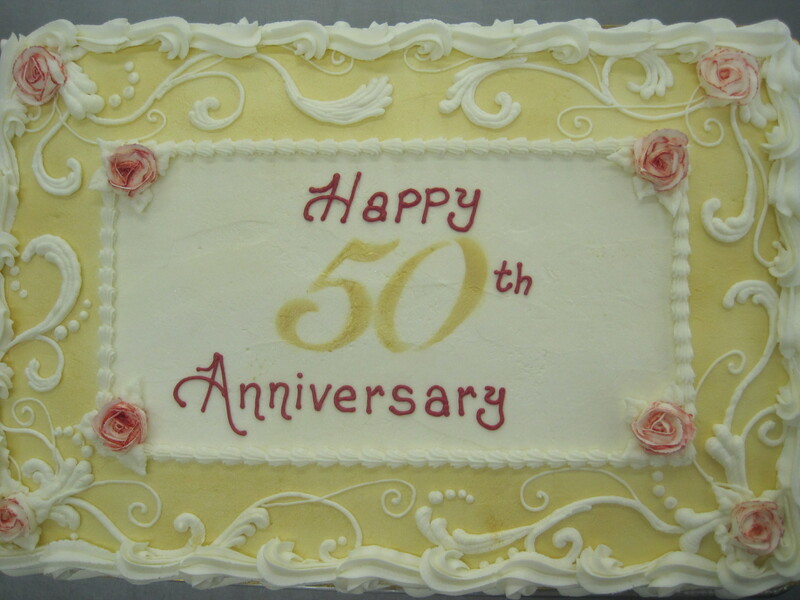 Each cake is made by Kathy herself. 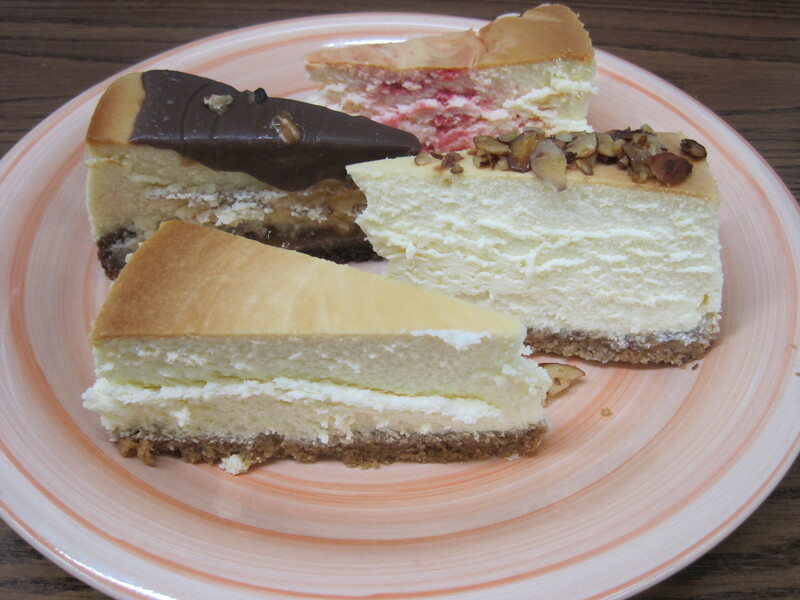 We do have slices of this cheese cake available in our refrigerated case every day. 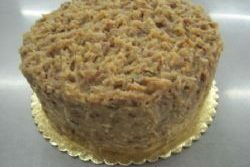 Whole frozen cakes available in limited quantities. 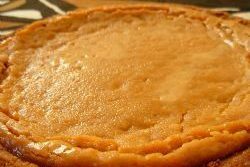 A creamy filling made with juice direct from Key West makes this a tongue tantalizing treat anytime. 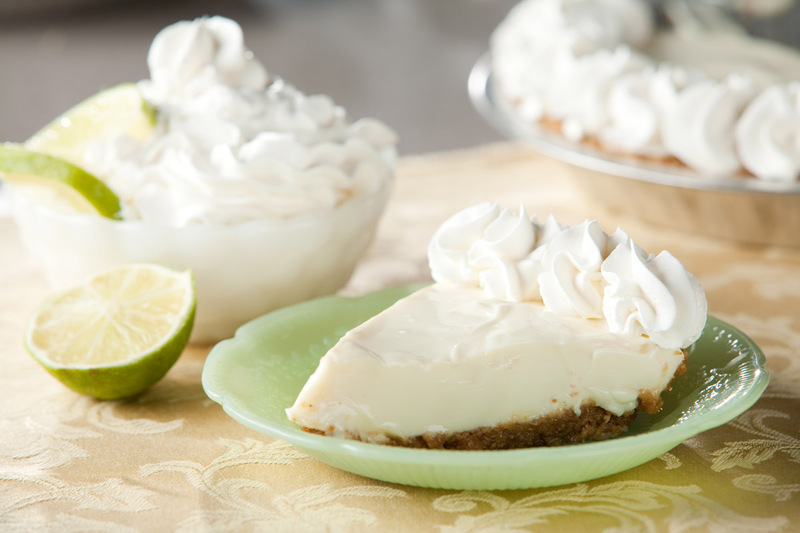 A graham cracker crust and a garnishing of whipped topping finish it off…and no, it is not green. 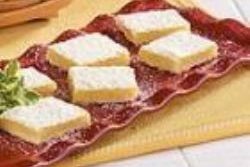 Sweet and tangy, our lemon bars are to die for, made with real lemon juice and a bottom crust with coconut in it. 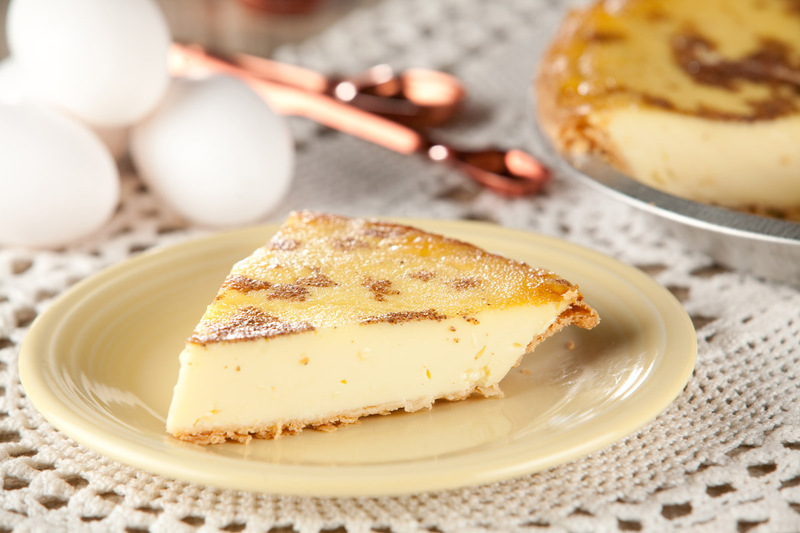 A fluffy, light lemon filling, topped with whipped topping and accented with a tart lemon drizzle to finish it off. 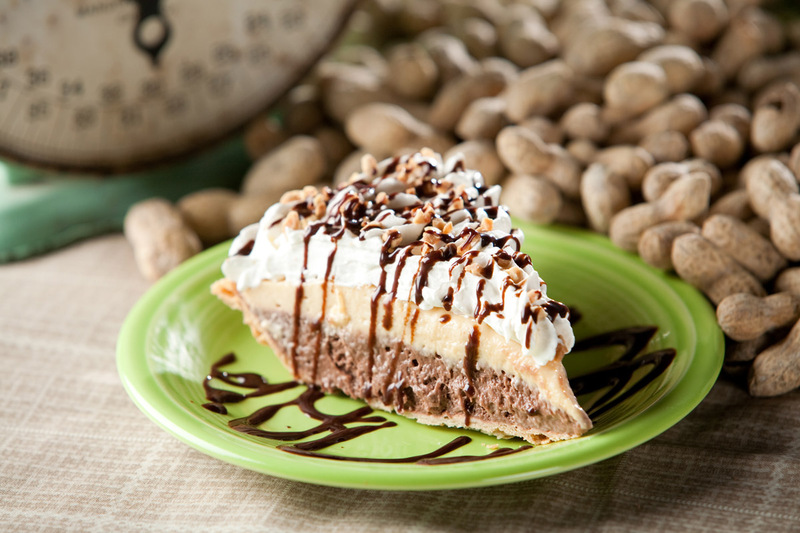 Our PIE OF THE MONTH for the month of March; it is also available in December (by popular demand). 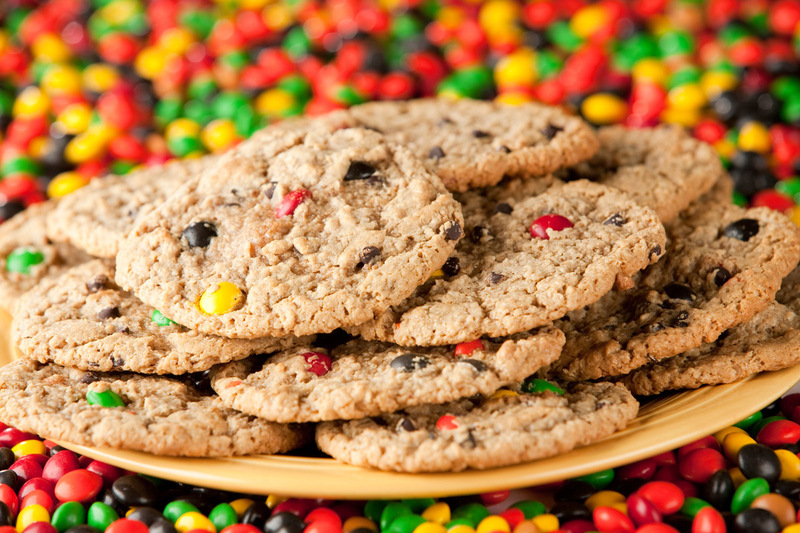 Enough to satisfy your monsters – includes peanut butter, chocolate chips, M&M’s and oatmeal. 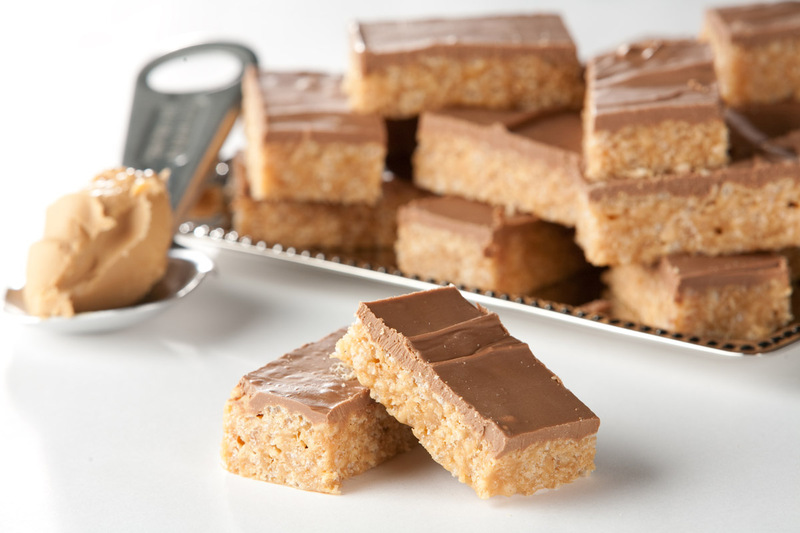 Crispy rice, peanut butter, chocolate and butterscotch chips make for a tasty snack! $15.45 for a tray with approx. 24 servings or $2.25 for a snack cup. 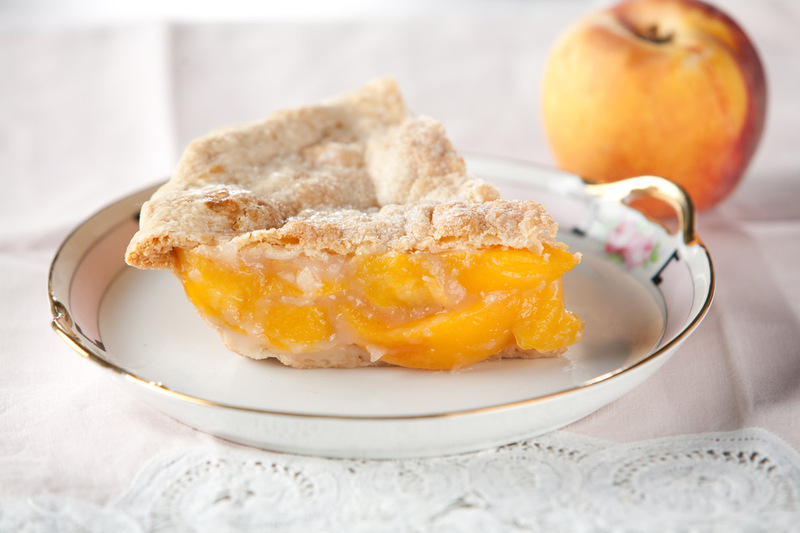 Double-crust pie made with Freestone Peaches. 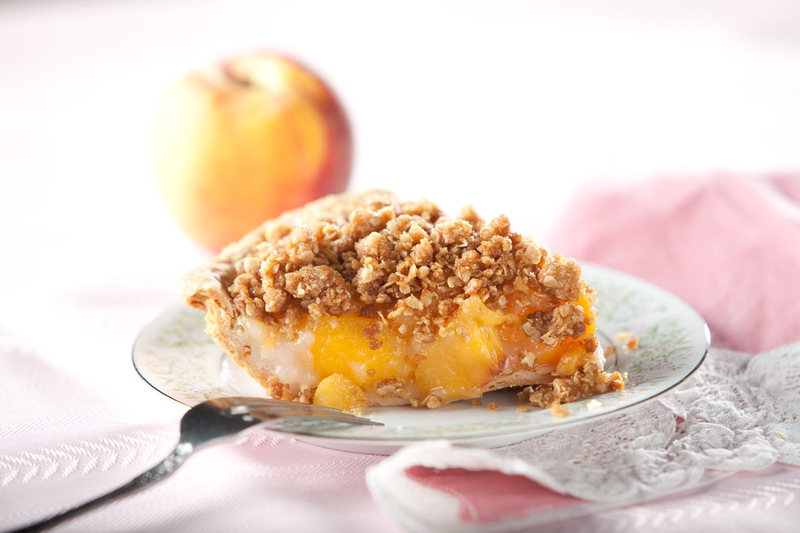 A single-crust pie with peach pie filling and a crumb topping of oatmeal, cinnamon, margarine and brown sugar. 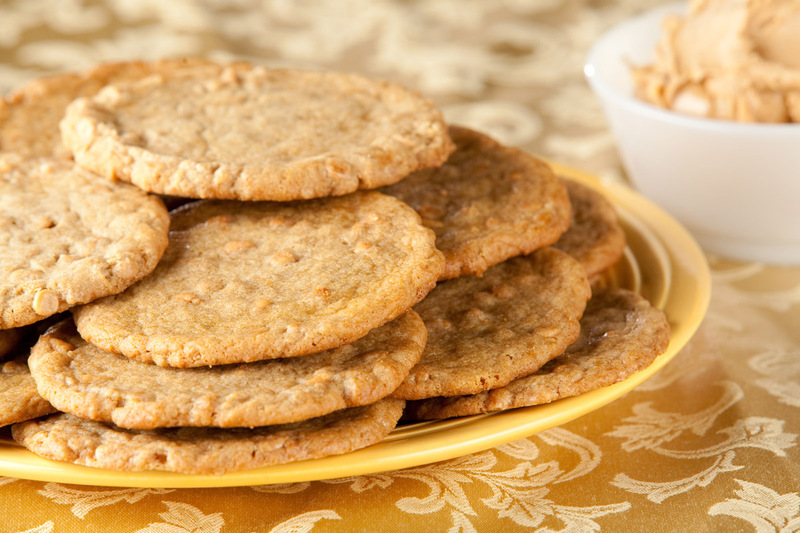 Peanut Butter cookies – just like grandma used to make! 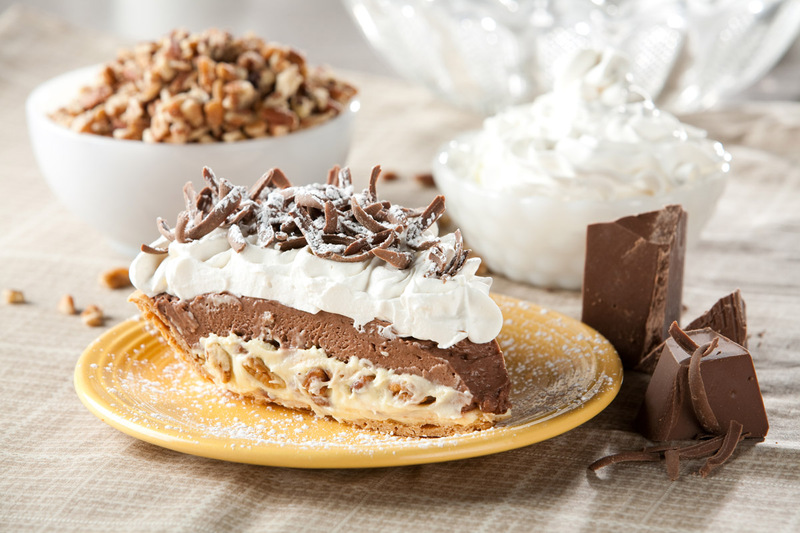 A single-crust pie with a bottom layer of chocolate pudding, a top layer of peanut butter pudding and topped with whipped topping, peanuts and chocolate sauce. Fall classic, just like it sounds. 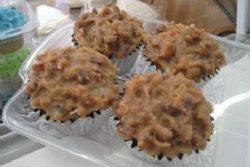 Available with or without a cream cheese topping. 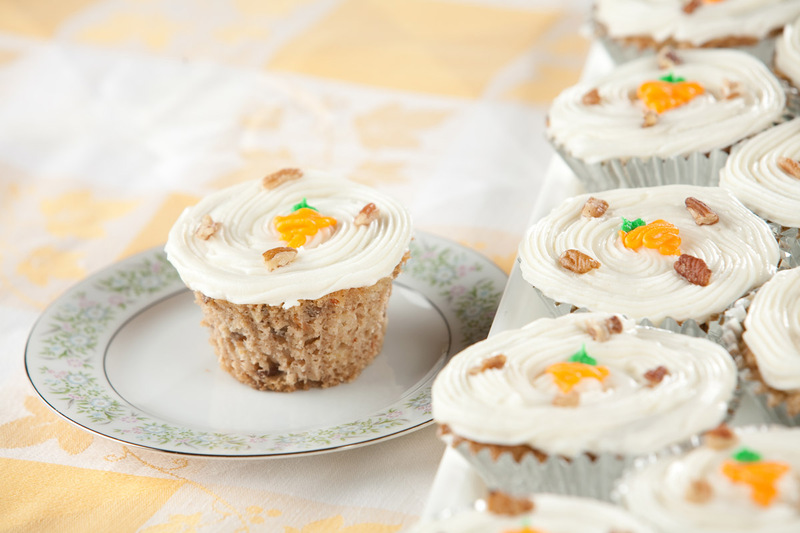 Serves 16 – Limited Availability! 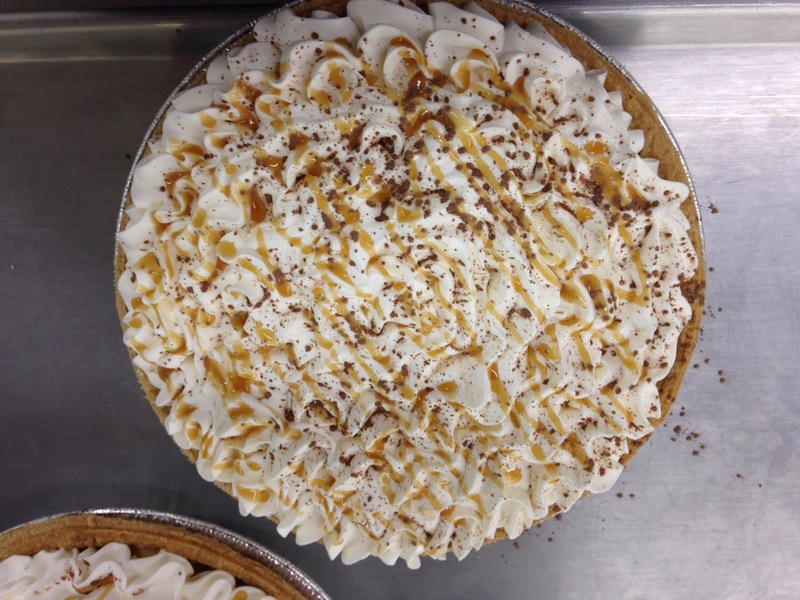 Available by the slice in store $2.95. 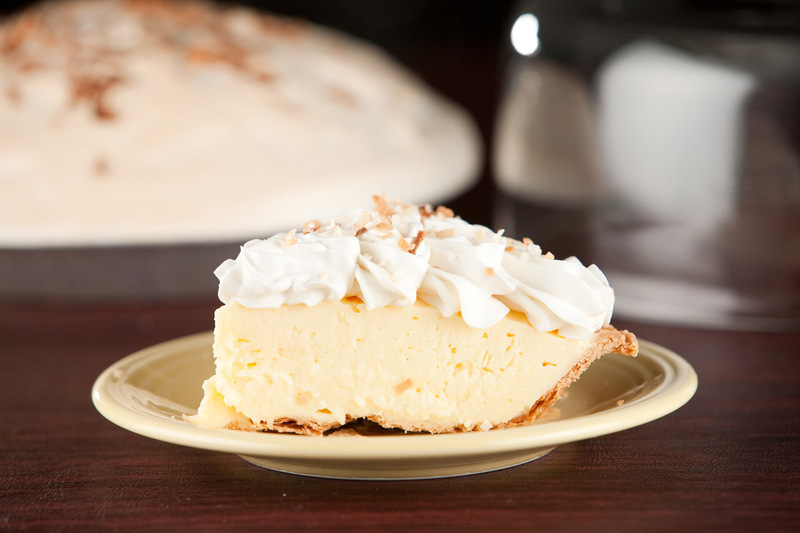 A tasty cream pie that is our PIE OF THE MONTH for September and November. 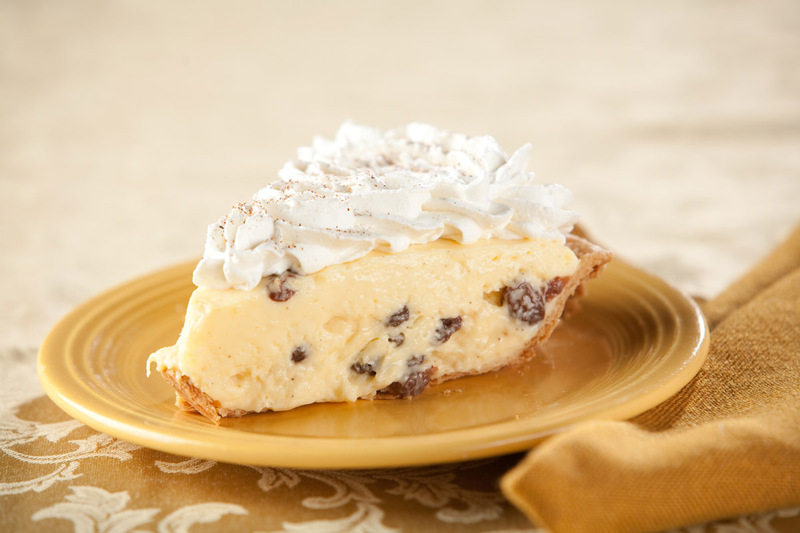 A single-crust pie with a vanilla pudding base, raisins and nutmeg for seasoning. 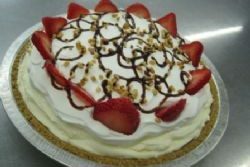 Topped with either a meringue or a whipped topping – your preference must be indicated. 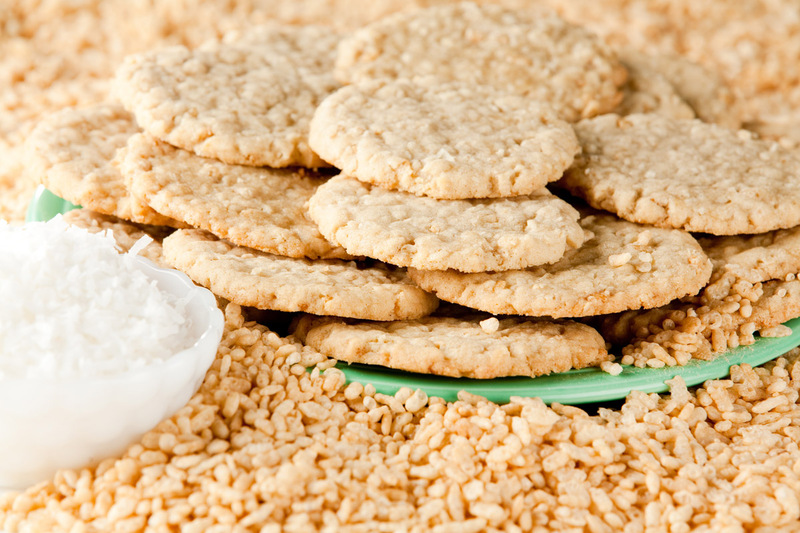 Combination of oatmeal, rice cereal and coconut in one delicious cookie. 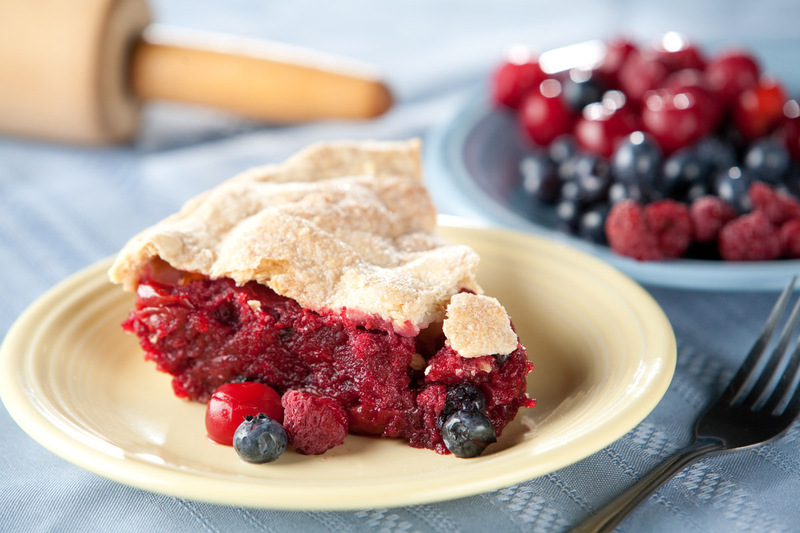 Tangy red raspberries and a cheesecake base combined to make a pleasing combination, in a regular pie crust with a garnish of whipped topping. 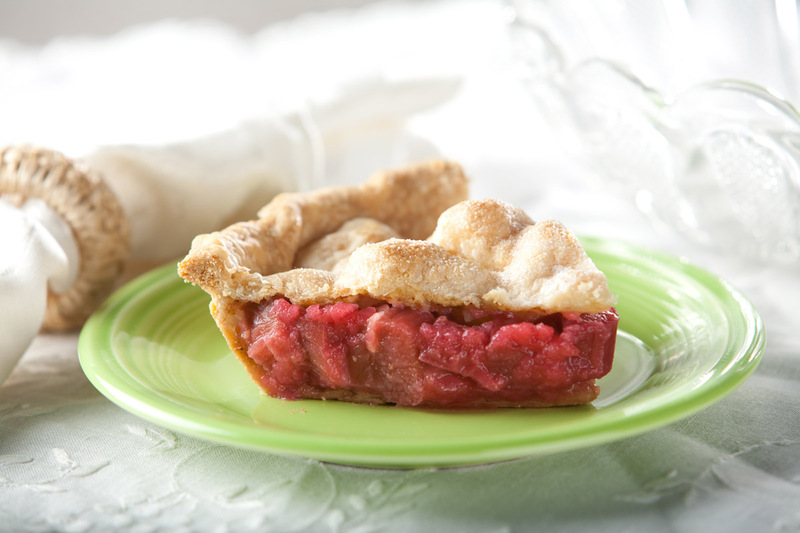 Crimson rhubarb, sugar and cornstarch. 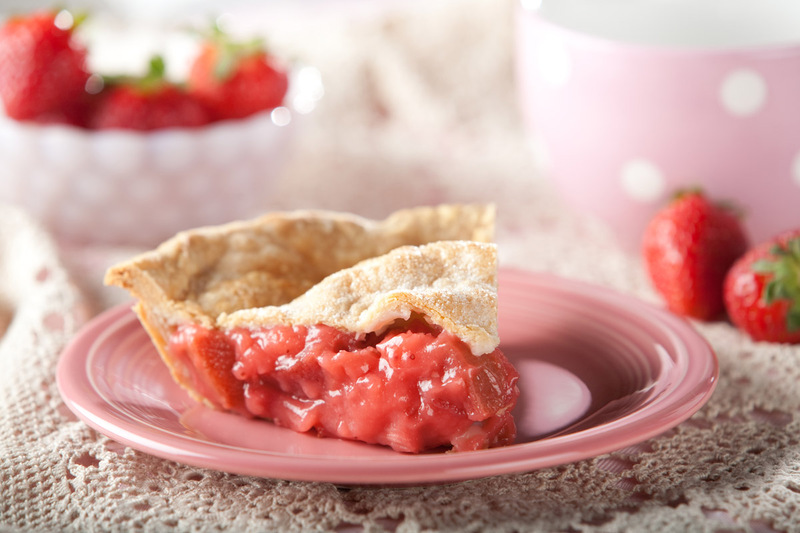 Crimson rhubarb and strawberries make for a great combination. You asked for it! Limited availability, November and December. 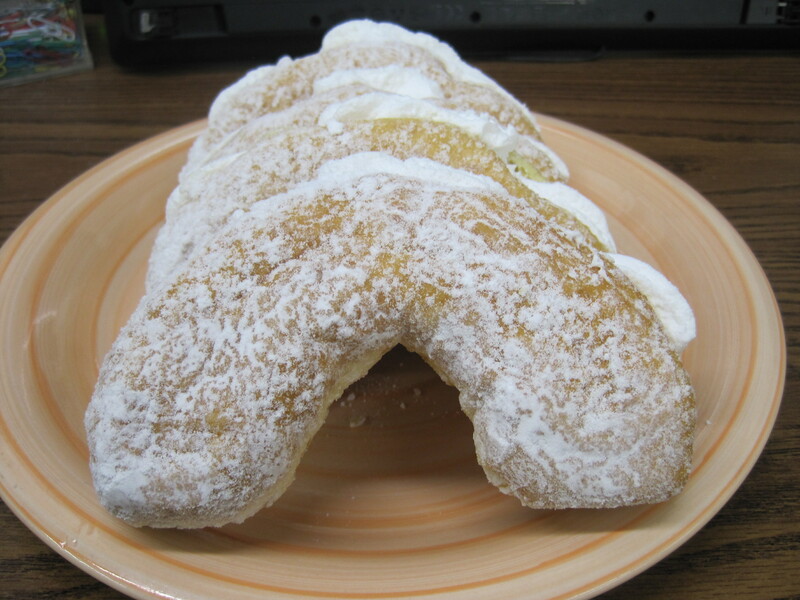 A light fluffy doughnut with whipped icing and powdered sugar. 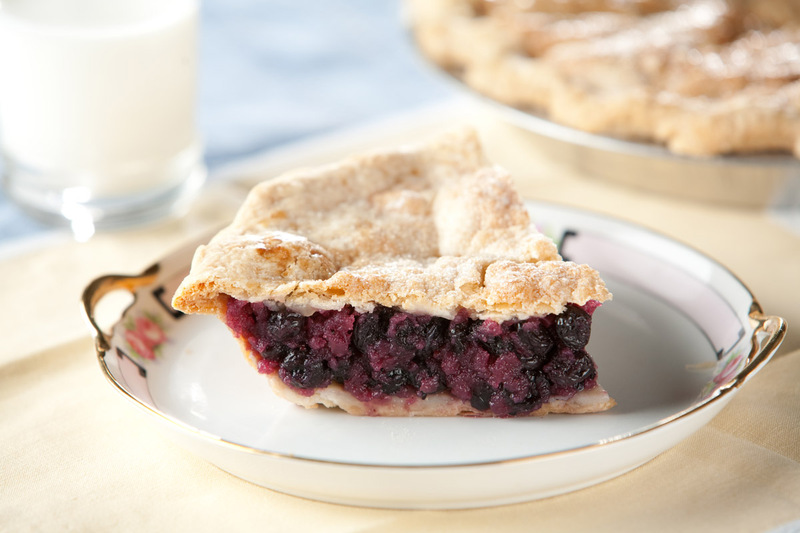 Cherries, blueberries, and raspberries make a great filling. 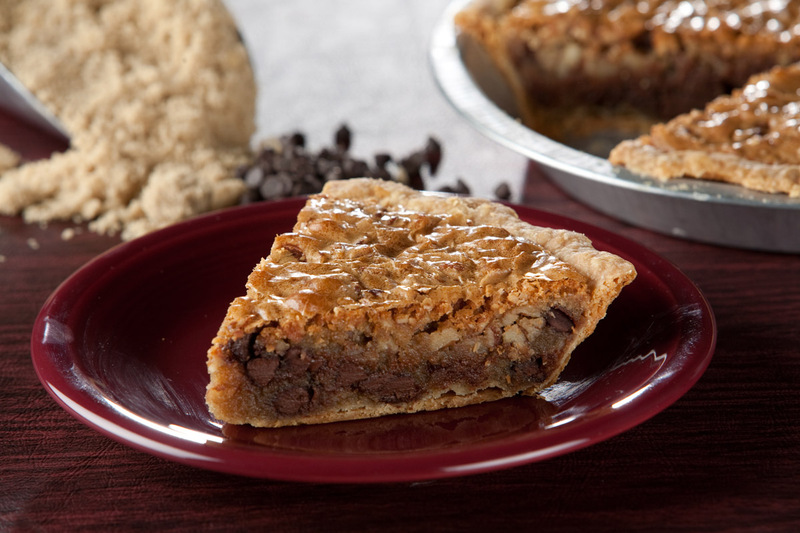 Made with the same dough we use for our pies, so it’s just like getting a slice of pie! 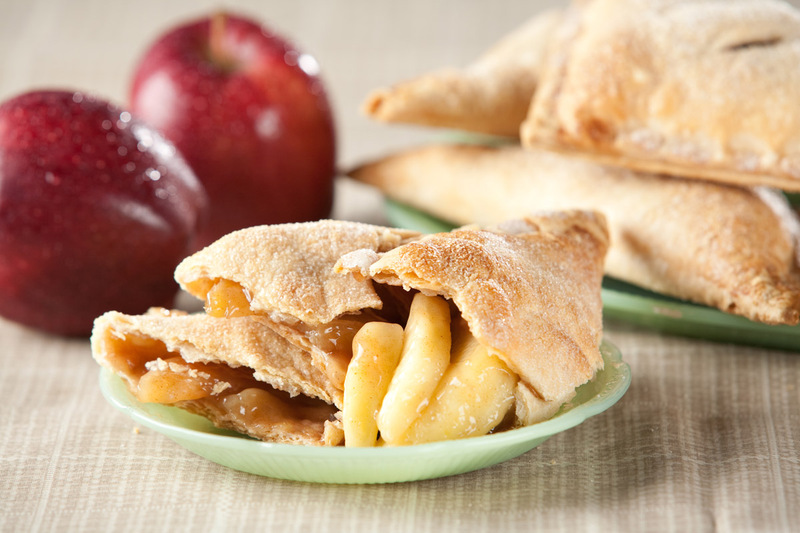 We make them every day in Apple, Cherry and Blueberry and a generous sprinkle of sugar. 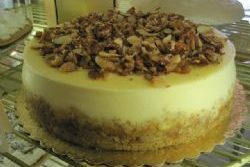 Pecans, caramel and chocolate in a rich cheesecake base. 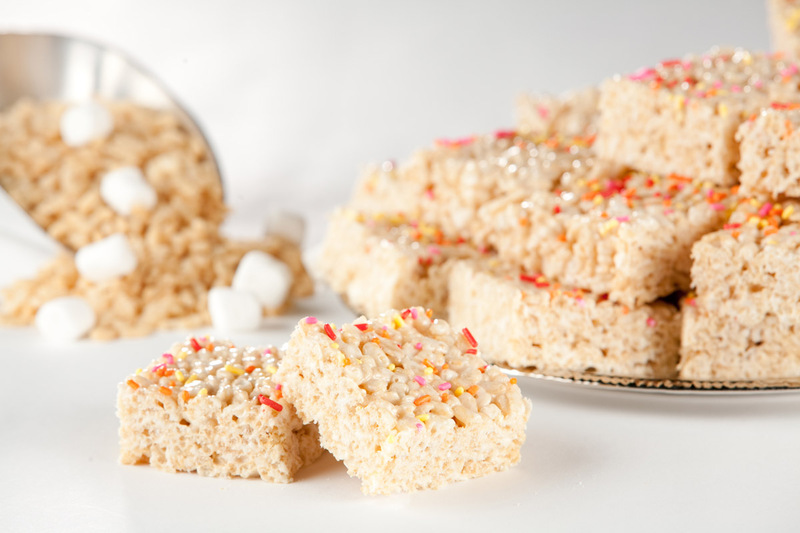 Serves 16 – Limited Availability! 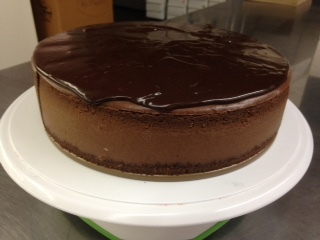 Available by the slice in store $2.95. 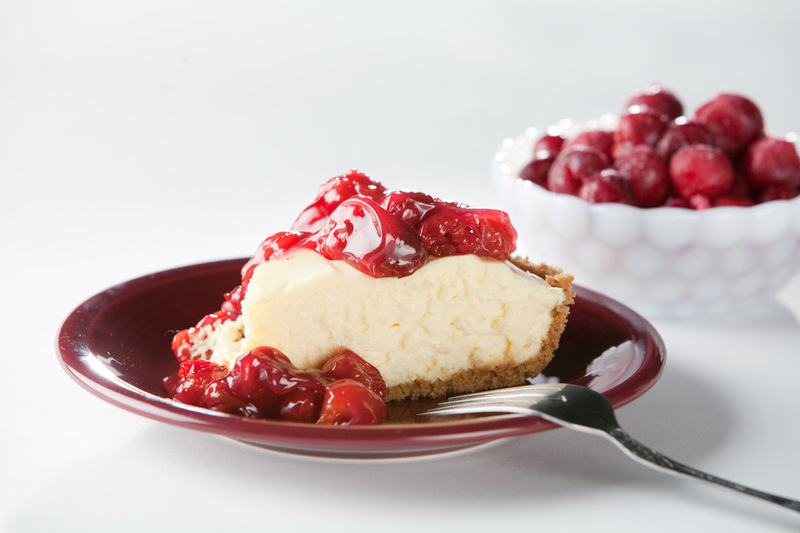 White chocolate swirled with raspberry filling in a rich cheesecake base. 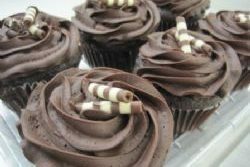 Serves 16 – Limited Availability! 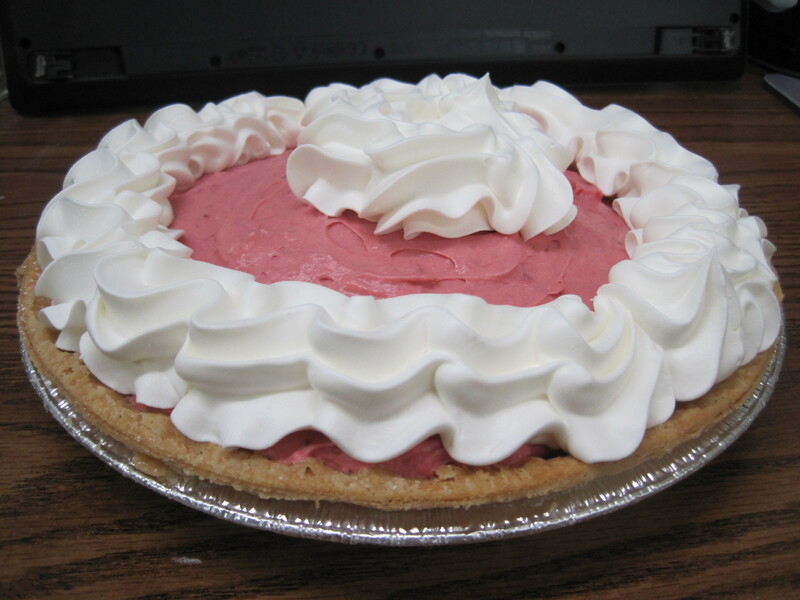 Available by the slice in store $2.95.